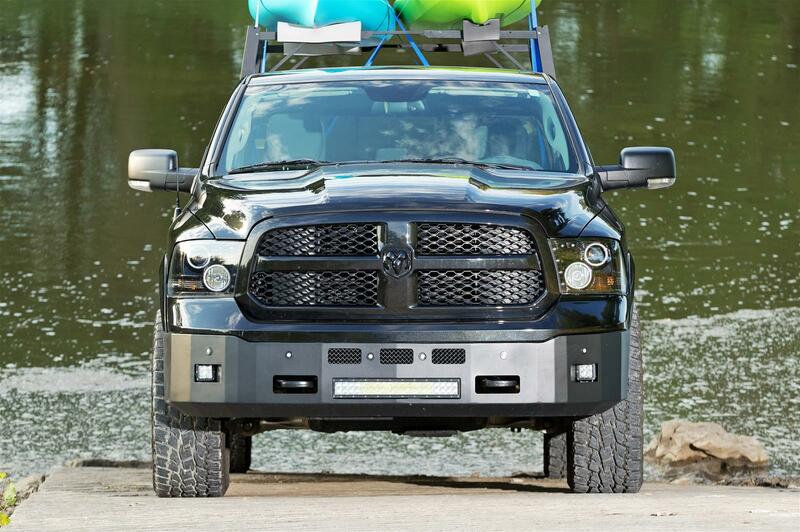 Dee Zee K-Series Black Steel Front Bumper 2013-18 Dodge Ram Dee Zee K-Series Black Steel Front Bumper 2013-18 Dodge Ram, Dee Zee 62300 Ram Front Bumper, Dee Zee K-Series Front Truck Bumper 2013-18 Dodge Ram, Dee Zee 2013-18 Dodge Ram Front Bumper, K-Series Front Truck Bumper 2013-18 Dodge Ram, 2013-18 Dodge Ram [Dee Zee 62300 Front Steel Bumper] - $1,274.95 : 3rd Strike Performance, Your Source for Late Model MOPAR Performance Parts and Accessories! Dee Zee K-Series bumpers are the ultimate line of defense for your off-road truck. Built like armor, their one-piece heavy-duty steel construction offers serious strength. The K-Series bumpers are available in front and rear models, and all are finished with Dee Zee's exclusive 2-stage finishing process--they are e-coated and then powdercoated a textured black that features NRT to inhibit corrosion. Rear bumpers feature integrated steps on either side for easier bed access, while the front models feature cutouts on each side for standardized LED lighting, plus center opening for up to a 20 in. light bar (lights sold separately). Heavy-duty models also feature a winch plate for up to a 16,500 lb. winch (not included) with 1 in. thick shackle mounts.